Very interesting post! As a Catholic, the debate between old and new worship is still present, but decidedly less important than it seems to be here. I’m not sure whether that is because the Catholic Church’s style just tends to be more traditional anyway, or if it’s because the whole concept of worship as being about music is not core to our ideas. The point I take most to heart from this post is that actual worship is something that dwells in the heart. Good worship is not about trends in music. Great post. Worship is not about music styles or church styles. Worship is about a heart that is hungry after God. A worship leader doesn’t necessarily need to be a theologen, but should be someone who runs after God with everything they have. And if they get some form of revelation for the church, they should feel free to share as long as it is okay with the senior leadership of the Church they are leading worship at. Worship is a very touchy subject for a lot of people. Thanks for taking a stance! Very insightful and helpful. I wrote a letter to the individual who published the article and said that requiring musicians to not speak, teach, or evangelize is furthering bad theology in music. It moves us away from a holistic view of ministry. It tells the musician that he/she is not essential to the community of believers unless he/she sings. I’m tired of bad theology in music and I think much of it has stemmed from not allowing our musicians the opportunity to study and speak – and also from allowing them to say “whatever the Lord laid on their heart.” The former creates empty music and the latter creates borderline heretical music. A musician is a theologian. Everyone within the leadership of the church needs to be. I’m going to share this article with him. Thanks, Drew. So Caleb, if the worship leader should be a theologian does that mean that the worship leader should be a Christian? Leader? Yes. How can one lead where he/she does not know where to lead? 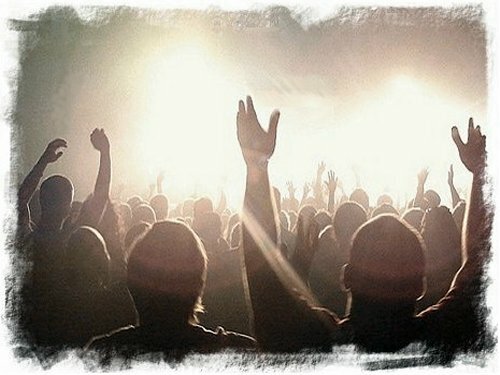 Does one need to be a Christian in order to be part of the worship team? No. Rich Mullins was quoted once as saying that song writers tend to not be very good theologians. He said this to a college professor who initially disagreed, but after talking with him a little while said he came to agree. I really, really appreciate your message and your writing skill. I’ve been there, done that with the whole worship thing and have finally found a nice little fellowship group where music is not an issue. We just sing acappella with no leader, but it’s absolutely wonderful. As a former church pianist, I love the fact that there’s also no performance syndrome going on. Old and young just flat-out sing while gazing at the beautiful trees outside the windows in front instead of at a leader who “better be doing it right.” I’m so glad to have stepped out of the evangelical music fray. Hope you can, too. Great post! Reply to Willow Feller..(and in general to calebtrimble original post). What do you do when someone wants to share a new song ? Who teaches/leads so you all are not singing something different , different key, or whatever ? Or would it matter?…I see the advantage of no instruments to some..especially if playing instruments is simply a distraction rather than a compliment or unifying factor of worship. God hears us worship through singing, and sees us worship through our actions honoring Him. But each of us is diverse in bringing our self to worship in/as a group. You sing bass, I sing alto….he/she sings soprano…some can hardly sing at all… some like sonorous chanting and others love giddy lilting melodies.God never asked for cookie cutter worship, but demands unity in purpose of adoring Him only. We come to worship, to proclaim God as the almighty holy One, even if the leader and/or song choice is not MY/ YOUR choice. Over the years I too while being part of a praise team, have stood in front, looked out over fellow worshipers and noticed signs of disapproval and distaste or indifference and boredom. Unless the leader is bringing false words to sing we should join in as we best can. Even the person who can’t speak or hear may worship this way by seeing the lyrics commonly displayed, the blind can sing from learning the words and melody from listening… the key is to worship TOGETHER when we assemble together. Otherwise we may as well stay home alone and watch the televangelists. Why assemble at all if only to bring disapproval and dissention? In our hearts, we “better be doing it right” !! Other wise we mock God and our purpose for speaking His name. Sadly, yours is not the only church that has this challenge to overcome…to worship God “in Spirit and in Truth” (not “in traditional and in contemporary”).